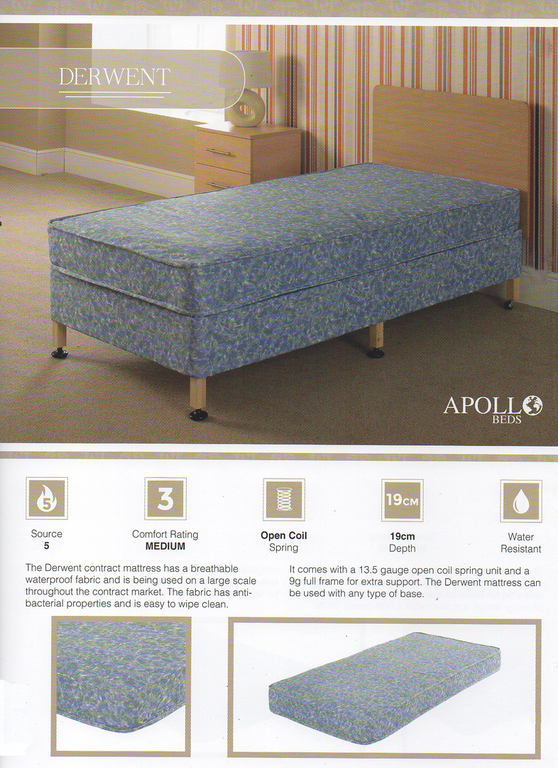 Made for the hotel, care and letting sectors, these contract beds and mattresses are the perfect solution for hotelliers, residential care homes and anyone who lets furnished properties or holiday homes. 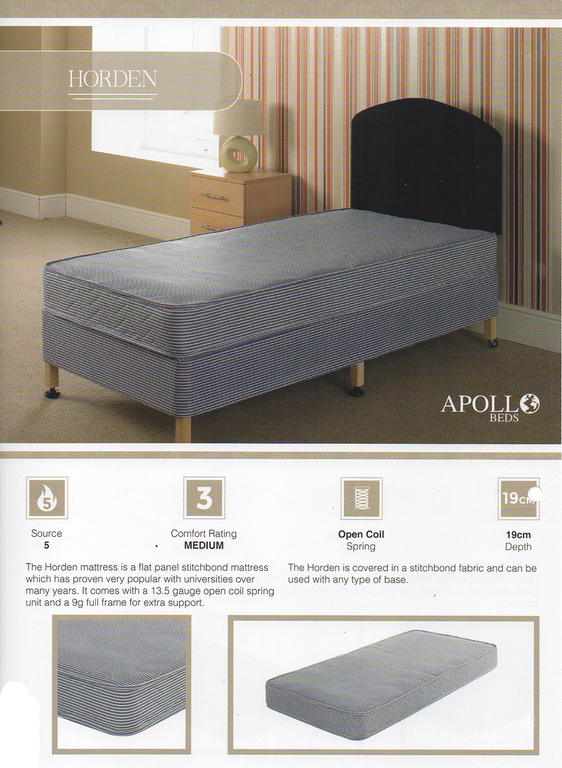 With the higher standard CRIB5 rating, these are a must for residential care homes and hotels (especially) and include both PVC covered water resistant and breathable waterproof mattresses in the range. 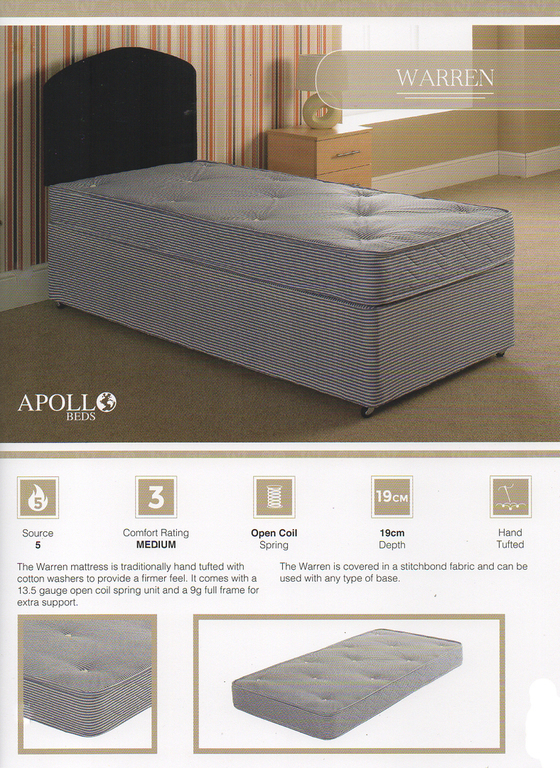 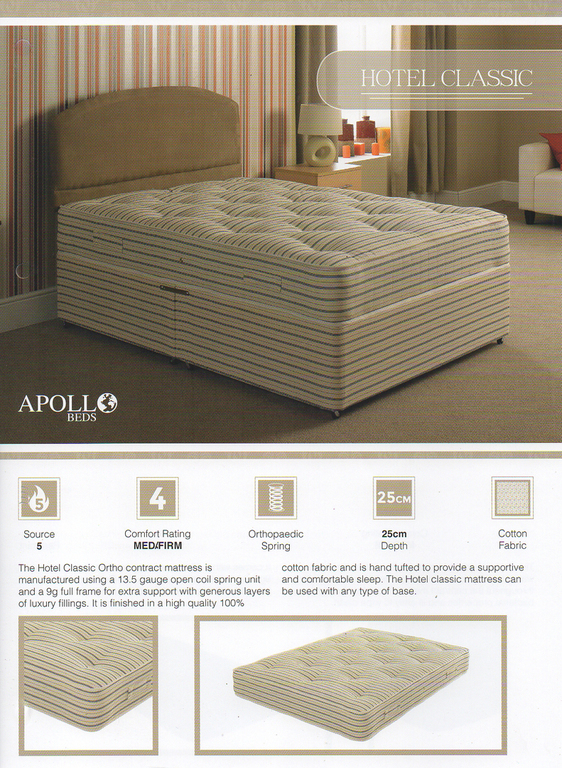 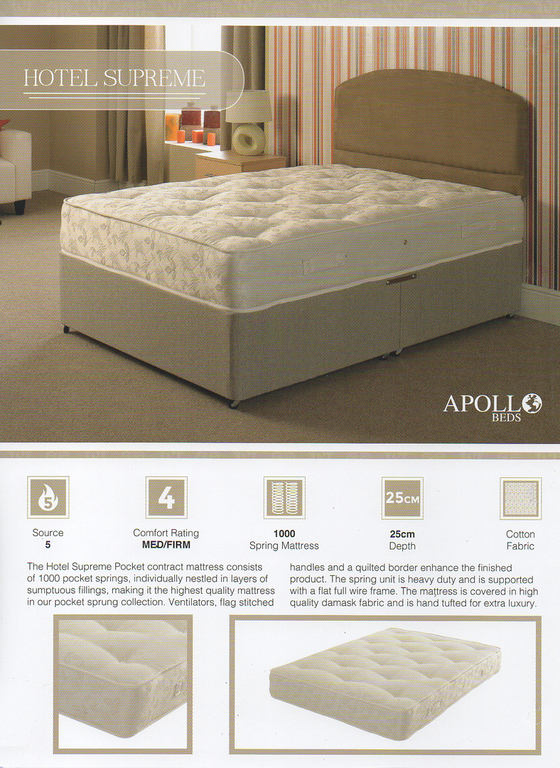 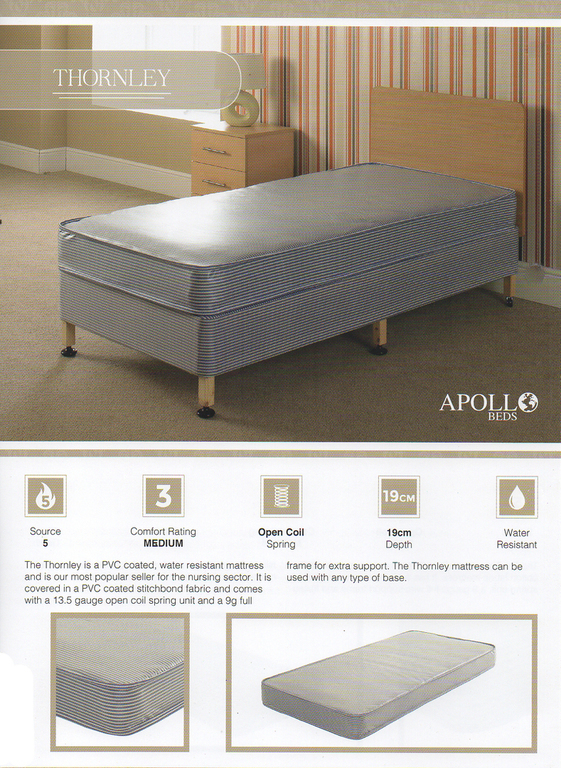 Quantity discounts are available for orders of 5+ and 10+ beds or mattresses. 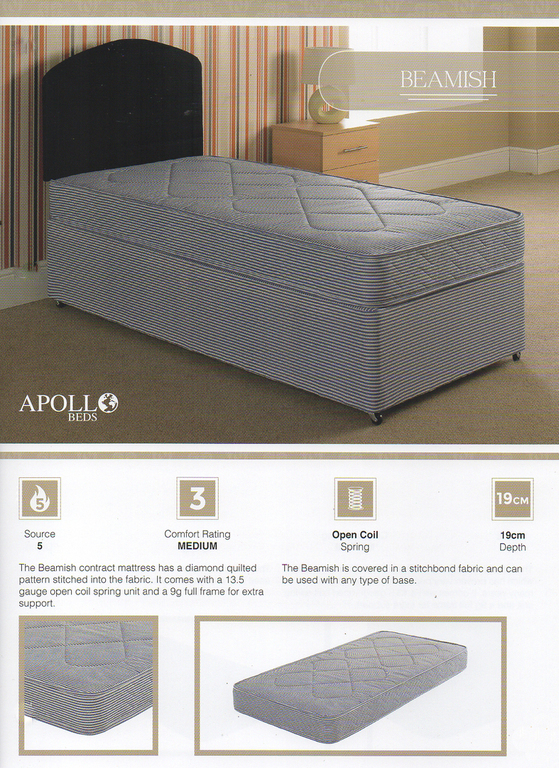 The range is pictured below or you can download the PDF brochure. 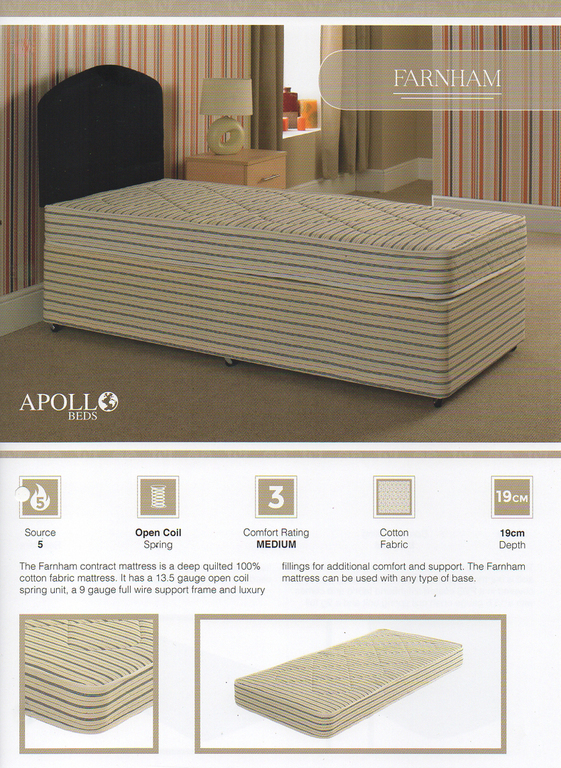 Call in to discuss your requirements and for a free, no obligation quote.